Africa: the e-waste dump of developed countries _ PCB recycling machine,cable wire recycling machine,E-waste recycling plant,precious metal refining machine system,E-waste shredder,plastic and metal recycling production line,copper electrolysis system-Zhengzhou Zhengyang Machinery Equipment Co.,Ltd. Because domestic recycling costs too high, the western developed countries each year, millions of tons of electronic waste illegally transported to African countries, including the discarded computers, laptops, microwave ovens, refrigerators and mobile phones. United Nations data show that in 2014 alone, the world is produced 41 million tons of electronic waste, they are worth £ 34 billion (RMB 316.8 billion). But only 6 million tons of e-waste is recycled appropriately. In 2014, the European produced 11.6 million tons of e-waste, and throughout Africa is 1.9 million tons, only west African country has become a global waste dumping ground. 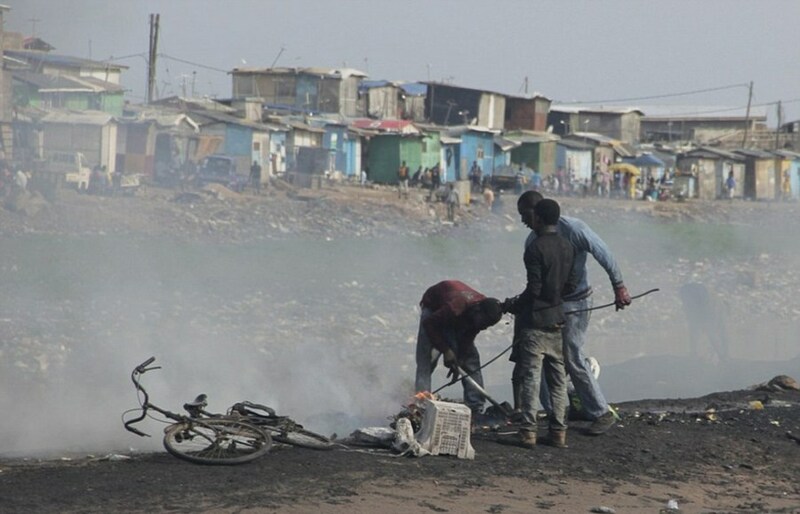 Some electronic products even leakage of toxic substances, such as lead, mercury, etc., not only pollute the environment, also threaten the health of the African people. In 2014 abandoned e-waste contains about 300 tonnes of gold, and 16 million tons of iron and nearly 2 million tons of copper, of course, there are a lot of silver, aluminum alloy and palladium. 60% of electronic waste are large and small household electrical appliances, rather than a mobile phone or computer and other electronic products. Electronic waste of formal treatment, and let more people into the electronic waste treatment industry, the government departments also need some incentive measures to encourage enterprises to recycle, so that recycling is good for the environment.